Someone here has to know the details. 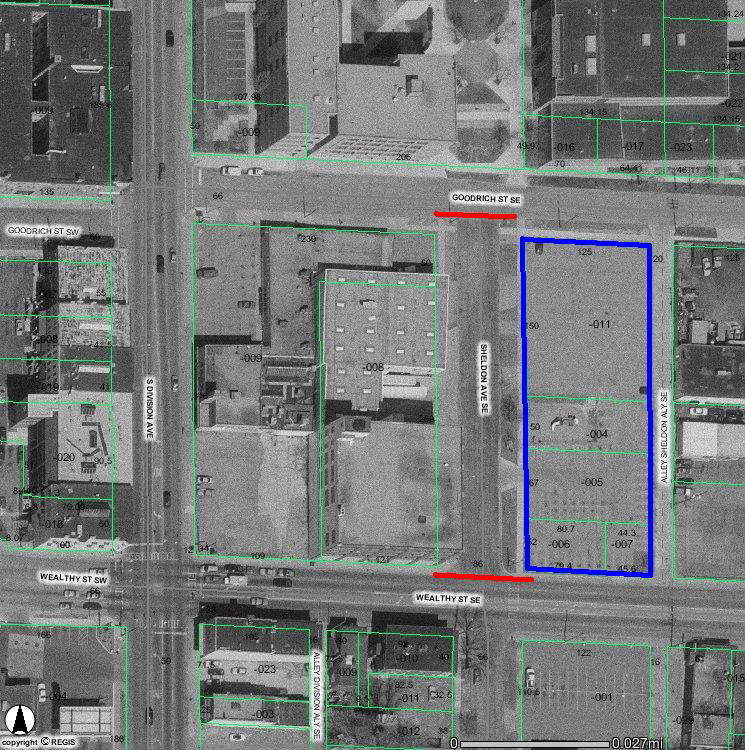 On the agenda for April 18th's HPC meeting is an item for 350 S. Division that reads: Demolition of Uptown Cleaners building and rehabilitation of entire site including both parking lots. Was anyone at Wednesday's meeting or know who the applicant is? That's all it has listed and the minutes aren't out yet. 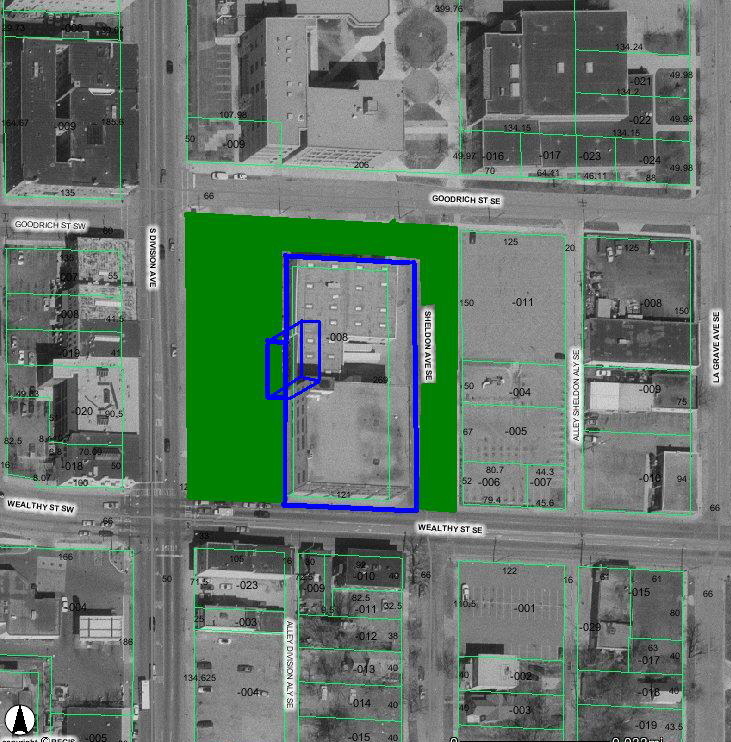 I believe the city has been longing for that site to be redeveloped for a long time. Was present, but my item (listed third under New Business) was at about 6 pm. So the 6:25 pm public hearing for the Uptown building was quite optimistic. Do you know what they (who?) are planning to do? I know Catholic Central wanted to buy the property a few years back, but were rejected as they didn't have an firm plans for the building. Perhaps they have plans? Or has someone else stepped up? It definetly has potential. Im eager to see what this is about. I had heard that too. I'm surprised none of the media was there, considering this and the 920 Cherry project/Eastbrook were on the agenda. I've heard the media hardly ever attends these HPC meetings (because they are after 5 PM maybe?) It'd be nice to beat them to the story (again). I have an email in to the minutes person, so I'll post more info if I get it. Last I heard the diocese wanted to put a seminary there. Will someone (I can't do it right now) just call down there and ask so I don't have to wait? On my project, Rhonda has been extremely helpful and forthcoming. Tell her I said hi. 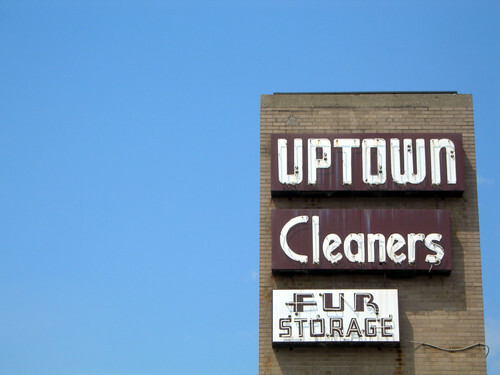 What if Lighthouse bought the Uptown sign, re-furbished it and had it installed on our Uptown Village building? The Diocese of Grand Rapids is trying to sell there current location on Burton near Eastern because it plans on moving the Headquarters to the current Catholic Central campus to be closer to the school an St. Andrews. Always wondered where they had the room for this. 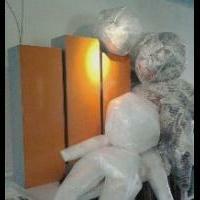 It now is coming all together. Catholic Central a while ago wanted to rip the building down and turn it into green space for the school. The HPC did not see this as a project that warranted the destruction of a "historic" building. Bright idea. I'd say go for it.....I would recommend Ian McCartney at NeonAmericana on Leonard for restoration work. I've bugged G3 for months about the possibility of moving that sign to uptown. Neon Americana would definitely be the place to go. I bet that sign is actually worth quite a lot if restored. I'd be the first to donate to the restoration and installation of that sign. Just let me know where to send the check. I spent a month burning my fingers at Neon Americana. I walked in and told Ian I wanted to learn to bend neon. He let me play with his torches and spare glass. It is *DEFINITELY* an art form that is under appreciated. Hey, I've had dibs on that sign for a long time! CC went back to HPC to seek demo on Uptown Cleaners. I believe the proposed project integrates civic space with green space to go along with the 2008 roundabouts making the NE corner of Wealthy/Division a pedestrian-friendly "gateway" to the CC campus. The plans calls for a new outdoor structure. I'll find out more later at lunch. I believe it's part of the Cathedral Square plans that the Diocese has been working on...details are supposed to be out early this summer. There's a request to vacate Sheldon Ave from Goodrich (near the current CC campus) South to Wealthy, presented by the Catholic Diocese, to expand their campus. It has to be related to this 350 South Division request. They also mention that the Diocese is looking to potentially build a ramp East of Sheldon and North of Wealthy. It's a double-sided sign, both sides of the tower. Let's share for the good of Uptown/Uptown ! ! So how would we go about acquiring the signs. Who owns the building currently? The Catholic Diocese. Call Bishop Hurley, he's a really nice guy. I got the meeting minutes and it is the proposed "campus" plan that was being presented. 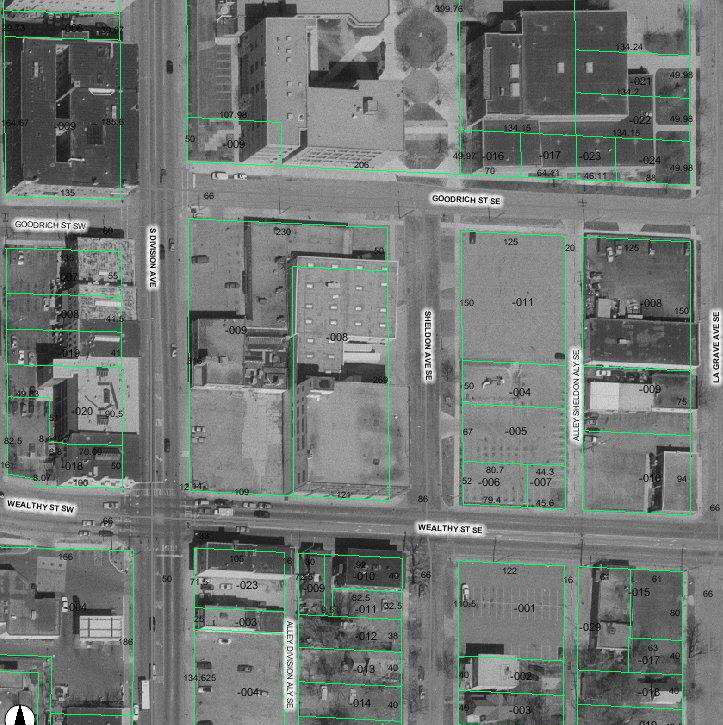 The Uptown Cleaners building would be demolished, and due to the contamination, it will be rebuilt as a park and plaza fronting Division and Wealthy. The Diocese will renovate 355 Sheldon (the old warehouse at the corner of Sheldon and Wealthy), and are looking to build a large glass atrium (3 - 5 stories) bumping out into the plaza and fronting Division. Then Sheldon would be vacated East of 355 Sheldon and incorporated into their current CC campus. 355 may also include a coffee shop and bookstore, in addition to the diocesan offices. Request for demolition was approved, and final plans are in process on 355 Sheldon with renovation work to be conducted by Rockford Construction. This is great...I hope it does clean up this area. Any time line on the date of demolition? Is the whole of Sheldon near Wealthy going to be closed off? AND OR THE LOVE OF CHRIST DON'T MAKE IT LOOK LIKE THOSE! ^You mean less winding walks and more geometry plus monument? I'd like to see more formal designs (French and Holland design) for urban parks. One could close off Sheldon and continue the park south with a monument on the south end to create a terminating vista.